At the heart of the SG series is a 5 kW power module. 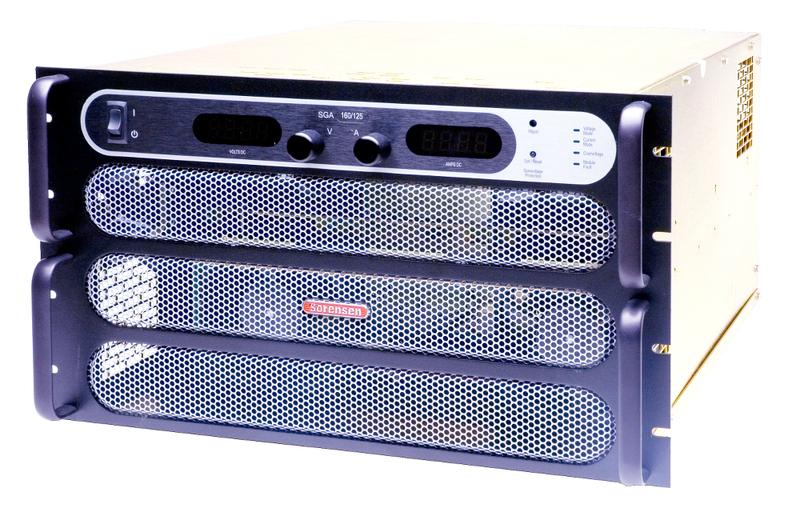 Depending on the output voltage, one to six modules can be configured in a single chassis to deliver 5 kW to 30 kW of power. Combinations of these chassis can then be easily paralleled to achieve power levels up to 150 kW. Paralleled units operate like one single supply providing total system current. Available in two control versions, the SGA has basic analogue controls, while the SGI provides intelligent control features. Two variants are available, SGA and SGI. SGA has simplified analogue controls and SGI has onboard "intelligent" controls that enable sophisticated sequencing, constant power mode and save/recall of instrument settings.